Enjoy the long weekend even if it means the official end of summer is here! 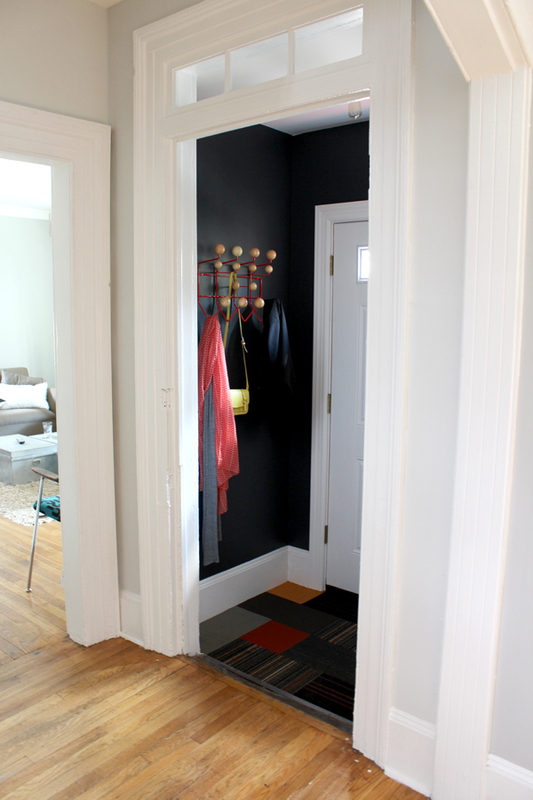 Sunday the 12th of August I finally painted the interior door frame of the vestibule and decided to lay the carpet tile, that I brought home from work about a year ago. 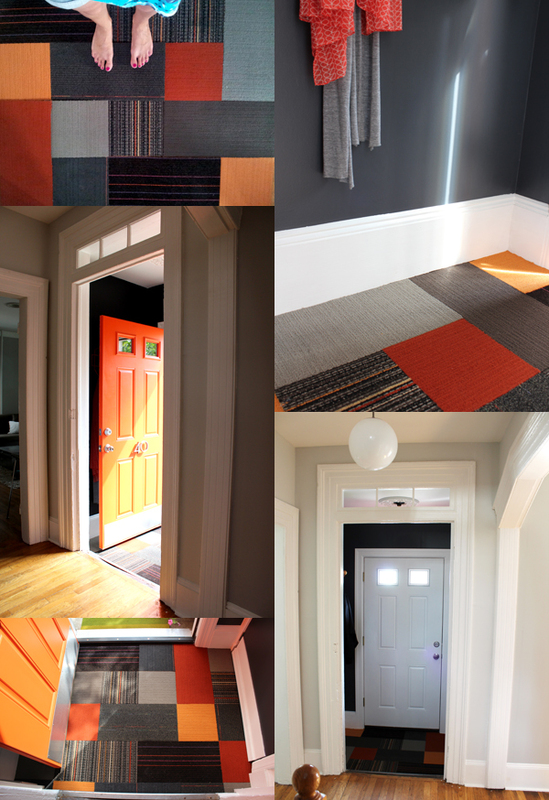 They were all samples for one client and since we did not need them anymore I figured I could turn them into a nice looking carpet tile mosaic in our vestibule. I had already drawn up a sketch in Auto Cad how I wanted to position the tiles, now we just needed to make a decision on what tile would go where. We laid out the different tiles on the floor and worked up our pattern from there. That was actually the most fun part of the whole project. All in all I spent about 4 hours on my knees and my legs were sore for three days straight but I think it was worth the pain. The new floor really makes the space look finished. Not looking too shabby for only spending $8 on the whole project. Next on my list is getting the vestibule door fixed up and re-hung and also installing new glass panels in the transom above. Have any of you fun projects lined up? This weekend I cleaned up the house a bit and found this old object I made with a friend out of old bottles and concrete. I used it as a candle holder at one point but now that it has broken in half I had to get rid of it. But I couldn't let it go without taking some farewell pictures. Have a great start into the new week! This month I think I caught backyard fever and I just can't stop looking for inspiration for our future yard. Another think I love in yards are fire pits, who doesn't like to spend cooler evenings around a fire and roast marshmallows and make s'mores. I only discovered s'mores in my twenties so I still have a lot of catching up to do. How could I have lived without them for so long? I love the simple fire pit that Morgan of The Brick House created. I guess I need to take a welding class soon. The possibilities are endless, I could also weld steel planter boxes etc...Ok, I don't really have time for that but it would be fun. Either one of my selection would be welcome in my yard, No 7 can even be used as a grill. So who's coming over for a nice chat around the fire with a bottle of wine and roasted marshmallows? Have a great weekend everyone! 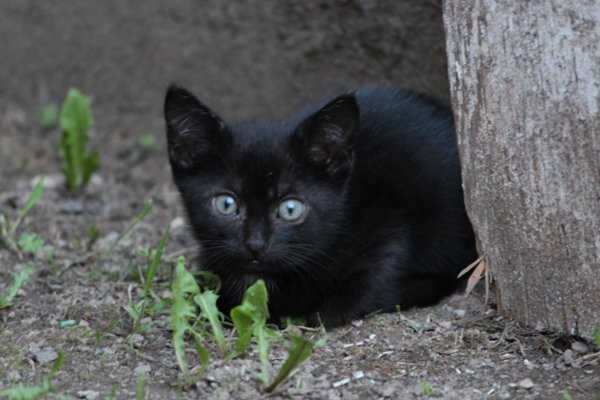 Are you cat people or dog people? Or are you like me and like both? 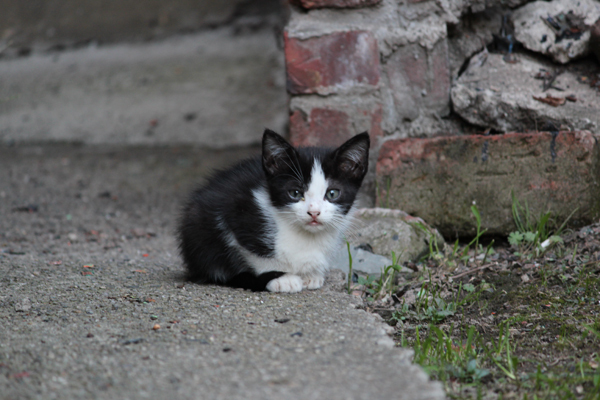 What have you been up to last weekend? 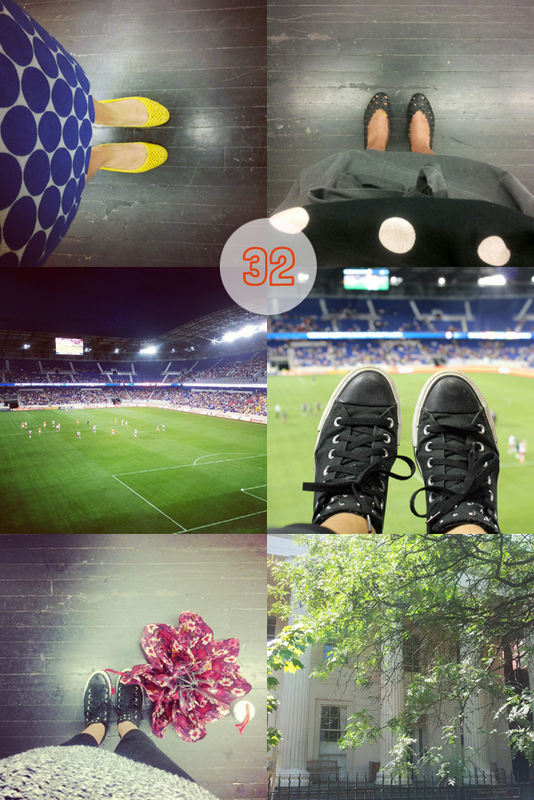 I have been racking my brain for a while to come up with an idea for a recurring column on the blog. Feel like I am all over the place when writing about my life, our house, what I love, and a column besides the weekly recap would be nice. The idea I came up with is NJoy where I want to share great things about the state I call home. Today it is even something that is going on in my neighborhood where I have seen all these signs pop up. 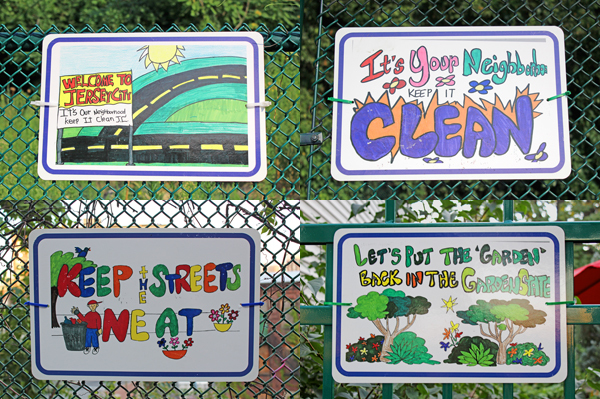 Kids from a local elementary school created 50 different posters with slogans, in both English and Spanish, to encourage the neighborhood to beautify and clean up their environment. 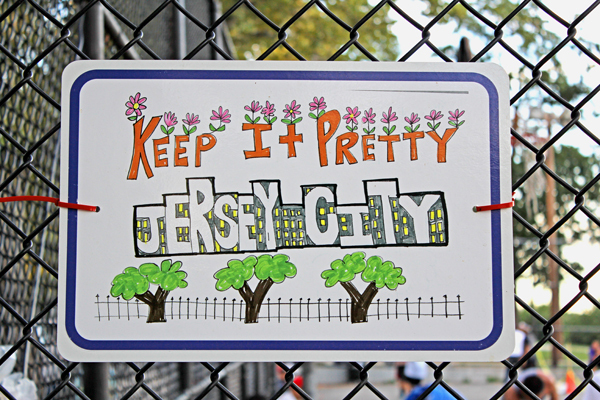 The campaign is aptly named Keep it pretty, Jersey City! I have found seven signs so far maybe I will discover the remaining forty-three soon. 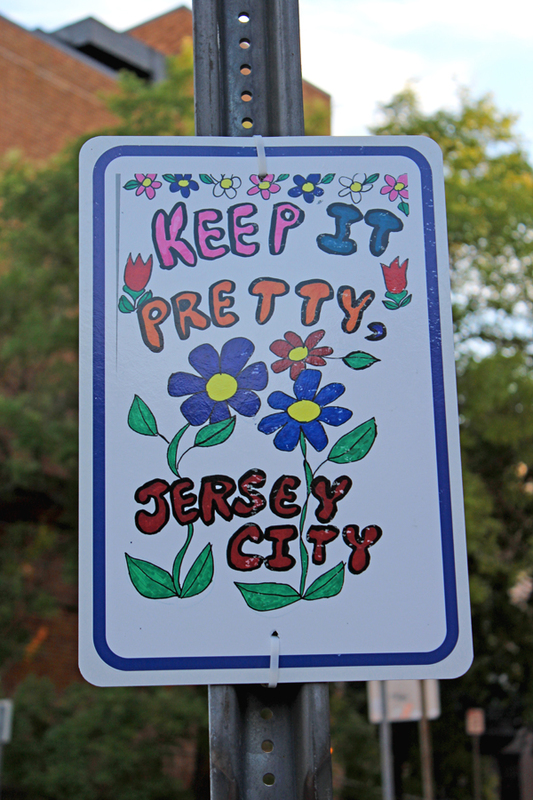 Keep it pretty wherever you are! Have any of you ever been to any of the places mentioned? 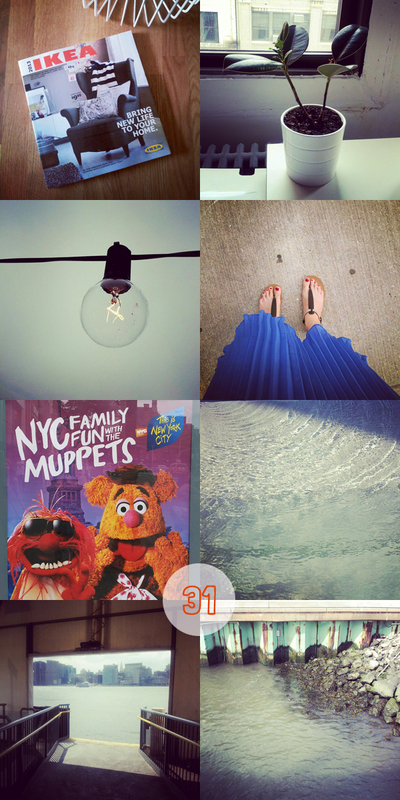 It's soooo hot and humid here my brain turned to mush and I have a hard time writing today's post. The heat killed my plan of finishing up my vestibule projects, although I have started painting the second door frame with an oil based primer but it still needs two layers of white paint. Of course I didn't even attempted to lay the floor but I have made a little drawing of how I want to lay the floor. Hopefully it cools down soon so I can finish painting and start working on the floor. Hope you had an equally relaxing weekend! Another outdoor post this week. Some of you might already know by following me on Instagram or my recent my week posts that I might have a minor obsession with string light. Ok, I have only shown two photos but have taken so many more. 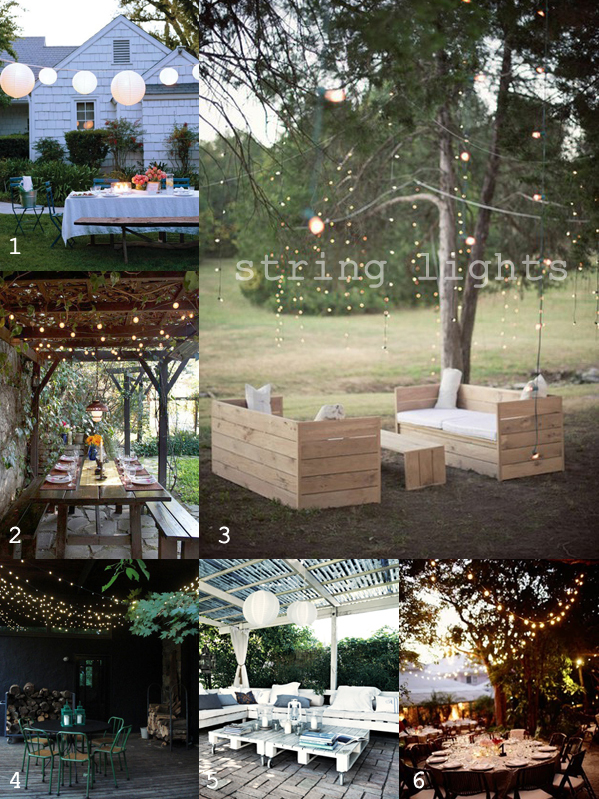 In my opinion string lights are a perfect staple to light up outdoor spaces. 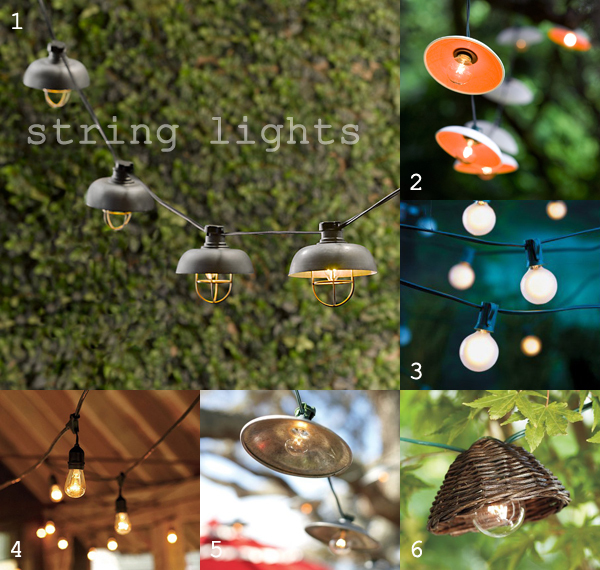 Here are some of my favorite pictures on how people use string or other lights to create a nice atmosphere in their yards. Of course it works with balconies, fire escapes or even in a window too depending on what kind of space you have. *If anybody knows the source of the photo please let me know. Tried to find it to no avail. I like to give credit where credit is due. I think I have mentioned it before that our backyard is more like a concrete jungle than a place you want to spent your time. The name says it all, 99.9% of the backyard is covered in concrete. And if that is not already bad enough it is not one consistent slab but instead various slabs, with different heights, that have been poured over the course of decades. Big tripping hazard! The oldest parts have cracks through which the only green in our yard started to sprout. 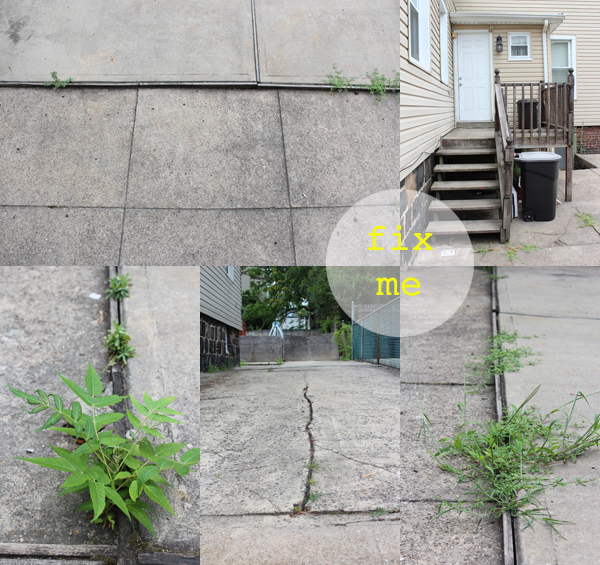 Even nature agrees with us that this yard needs to be greener! There is also a small deck, right when you step out of the kitchen. The location would make it a great spot for al fresco dining but the size is way too small for that, even with just the two of us. Overall we never hang out in our concrete jungle and we would love to transform it into a lush green back yard with a nice sized deck so we can chill out after work or have friends over for bbq’s etc. The plan is to get rid of all the concrete in the driveway and yard and replace it with simple pavers that lead from the driveway to a new larger wood deck, that is much closer to the ground or a paved patio and have the yard fenced in with a new wooden fence to give us more privacy. Around the perimeter of the yard we would like to plant flowers and maybe even a small vegetable garden. I have been pinning away inspirational photos on Pinterest, here is my garden inspiration board, for a while now. 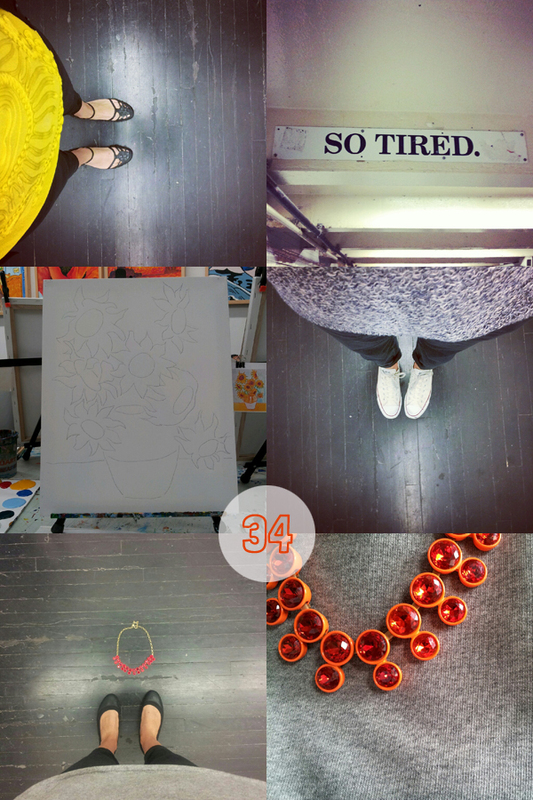 There are almost 150 pictures on that board so I made a collage with some of my favorites. What would be your perfect backyard oasis?